Semi-synthetic lubricant reinforced with Hydro cracked base stocks to ensure engine protection and improve gears life time. 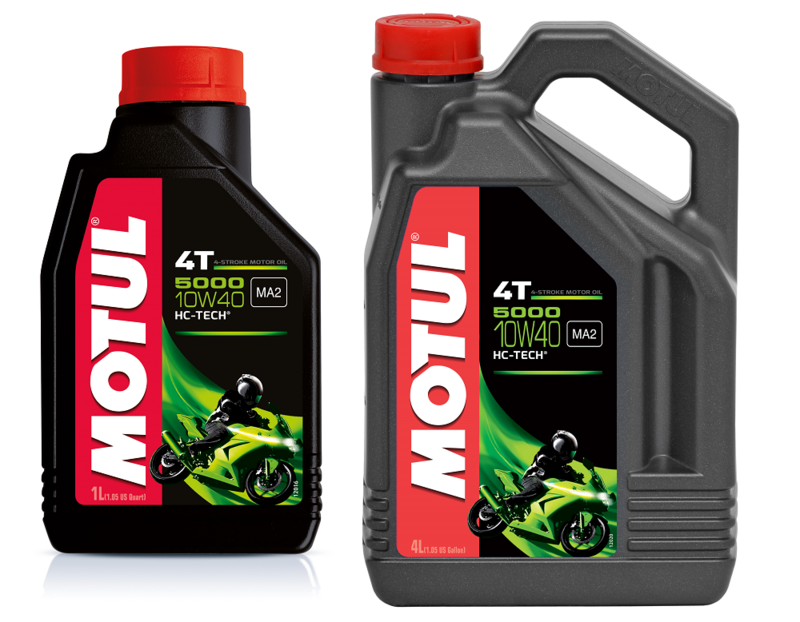 Suitable for specific SUZUKI, YAMAHA, KAWASAKI engines requiring SAE 10W-40 viscosity grade oil. Technosynthese® lubricant reinforced by Ester base stock to warranty anti-wear properties and improve gear protection and life time. Improved oil film resistance at high temperatures for engine durability. Optimized Phosphorus and Sulphur content (JASO MA2 < 1200 ppm) for better operating conditions of catalytic converters. The innovative anti wear additives package provides excellent gearbox protection. FZG Gear Test results: Pass FLS 14. The FZG (Forschungsstelle für Zahnrader und Getriebebau) Test, evaluates fluid lubricating and wear protection properties at the interface of a loaded set of gears. JASO has created its own 4-stroke motorcycle standard -JASO T903- which has three grades MA, MA1 and MA2. JASO MA2 offers the most efficient friction levels to guarantee the clutch engagement during the three riding modes: Starting, Acceleration and Constant Speed. Drain interval: according to manufacturers’ recommendations and tune to your own use. Can be mixed with synthetic or mineral lubricants.